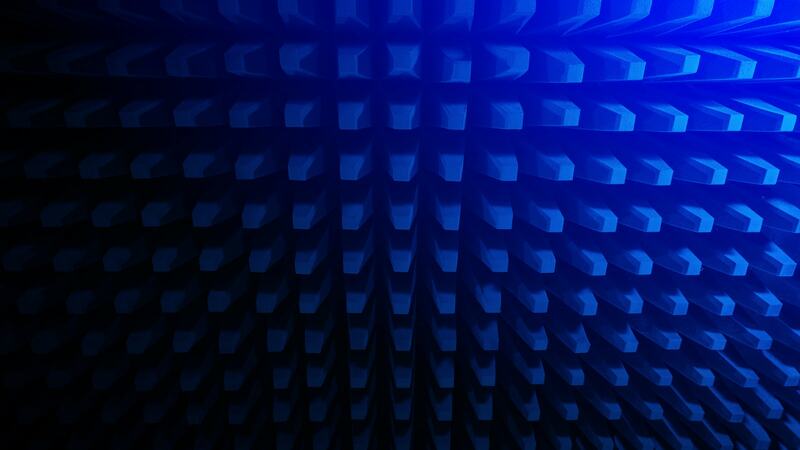 IBM experts discuss a faster, more secure journey to cloud, how to accelerate your path to AI, and what you can learn at the upcoming Think 2019 event. Learn how IBM Cloud Integration — including cloud integration services, hybrid cloud integration and cloud data integration — help you access and use critical data with API, application, message and data integration. The key is implementing an IA architecture that enables moving code to distributed data. 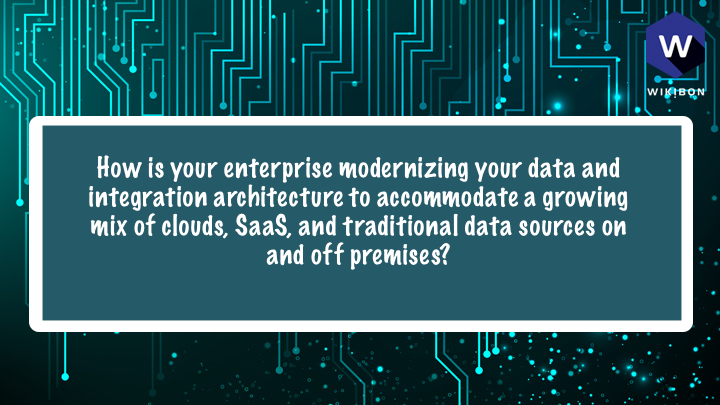 I'm seeing many companies moving their ECM content into the public cloud as part of their modernization strategy. Check out the Business Automation Content Services on Cloud details in the Digital Business Automation sessions at Think. ...MarketScape on the topic this week. "Our mainframe is still sort of a cloud-like infrastructure." in my opinion, Do your analytics where the data is if you can.. There is no value in moving lots of data, but there is significant business value in doing more analytics with your data. Its all about rate and pace of AI projects..
Data is growing exponentially within an enterprise. Moving becomes an avoidable expense if you can bring analytics to your data! In-situ/in-database analytics is a key foundation fo the big data revolution. Data gravity. Now with the edge looming larger as a data source, analytics is moving closer to those nodes and getting more sophisticated there. Distributed AI. Data in volume is costly to move & takes a lot of time. Data loses value over time. so, it is usually much cheaper to move code to data than data to code. This is especially true for operational AI/analytics, which should be moved close to data source where possible. @Matthias_Funke How much of a trend is IBM seeing toward distributed edge/client-based AI model training? What do your solutions offer to support that practice for mobile, IoT, edge, embedded apps? It is interesting to observe that when AI systems are deployed, 90%+ of the code is in operational AI, rather than ML model development. @hkmanda Agreed. But what is the tipping point when the abundance of high-performance parallel compute in the cloud makes it faster and less costly (even with bandwidth costs/constraints) to do high-powered AI (training etc.) there? @AnanthRN For more on business-ready data, don’t miss the Digital Transformation: A Business Ready Data Hub for Advanced Analytics session at Think 2019 happening Friday, February 15th at 9:30amPST on the Data & AI Campus. Many #businesses are organized as #functional, #multidivisional, or #matrix. Hence, #data siloes naturally happen and continue to happen. 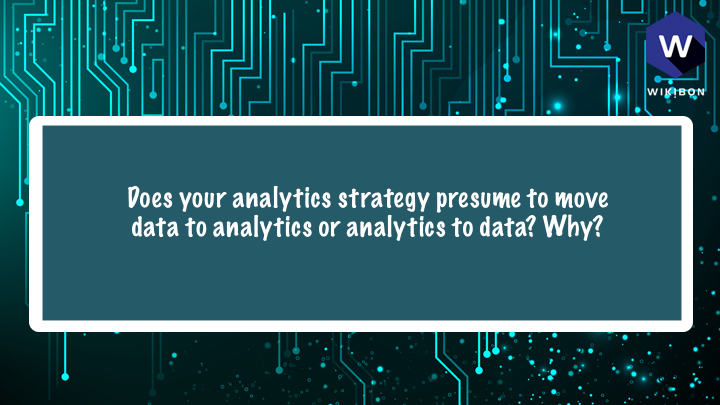 Bringing analytics to data wherever it resides can be more economical. Move data when it is essential like for #protection. 1. There are two sources of AI solutions – internal, and external, the normal make or buy decision. For products and services owned, it is vital that data is collected about those services in IA. However, there are many technologies it would be easier to buy. I see this question come up everywhere. Modernization to gain agility, new insights faster, and have more people and business application benefit from it. We work with clients on their Data Science Journey and biggest factor to winning with AI is to make sure you plan for 3 things.. The right skills, the right process/ culture and finally the correct tools.. There's no practical AI without data quality, governance, prep, and training in a high-performance data lake. 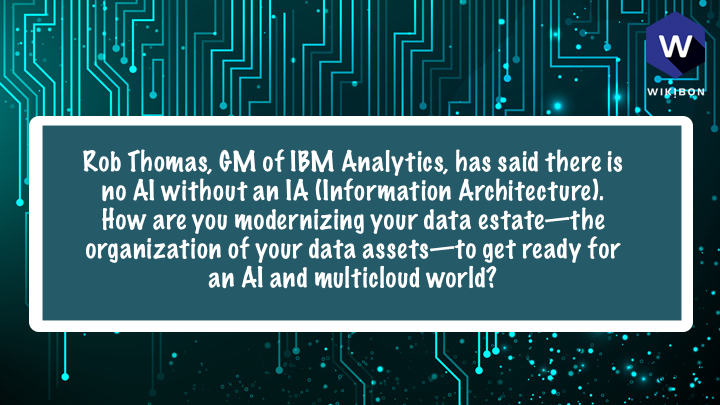 Modernizing your data estate in the multicloud for AI demands an industrialized DevOps approach that automates much/most of these processes. very often one needs to start at the bottom of the AI ladder and the question: How can I collect all the data I need, and make it accessible to the right people, at the right time? And how can i integrate data assets across different locations and data sources? For example, if you are wanting to ensure that only employees are entering enterprise premises, there will be many enterprises with the same problem, and many solutions to purchase. Hello Everyone ! This is Omar from India Software Labs, Hyderabad. @JasonTavoularis Yes. AI can't be smart if data scientists can find the right data to drive feature engineering etc. Likewise, AI models can't do their jobs with high confidence without upfront and ongoing training from fresh operational data. Couldn't agree more. Quality of AI models is directly proportional to the quality of data used to train the model. Without an information architecture to serve high-quality data, the AI models can be inconsistent, irrelevant or worse biased. @AnanthRN Regarding people & culture for AI, how are you fostering AI skills throughout your developer and business analyst teams? IMO, he future for analytics is real-time results. This means fast execution of operational AI/Analytics near the data. It also means low-latency connections between applications wanting to automate processes and the AI/analytics required. @AnanthRN Right. Infusing AI into the business requires that an operationalized data science pipeline with a strong real-time/streaming CI/CD workflow. @hkmanda If anyone is looking to learn more about ICP for Data, be sure to check-out session #2571, titled: Change the Game: Learn How to Win with AI happening on Wednesday, February 13th at 1:30pmPST in the Large Theater on the Data & AI Campus. 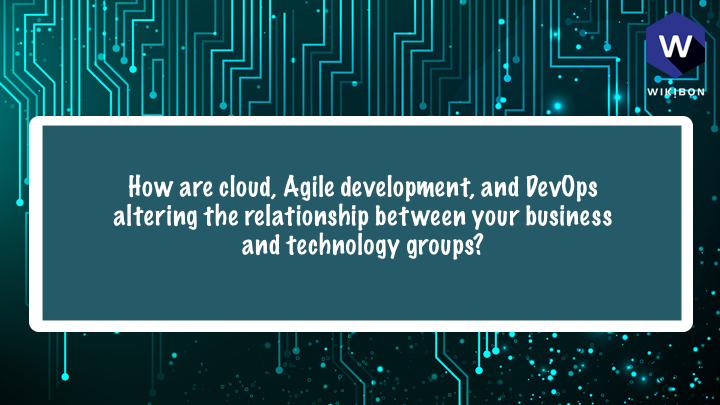 DevOps eradicates silos and requires stakeholders across business units to interact with one another, so it helps to establish mutual understanding and empathy as core team values that enable individuals to move toward a common goal. @rbarcia Interesting. A more open culture slows adoption new technology? Any particular cause? @rbarcia When working on culture, how much of that is through working to change the org chart vs establishing new activities/ceremonies vs using tooling to manipulate culture? This environment enable the business to be directly part of the development and integration process. This can lead to rapid adoption by the business - IMO more important than rapid coding! The process of getting to an "Open Culture" and still worry about things like compliance for example. @rbarcia Too many things at once, then. Thanks. @EricMinick My experience is that the org chart is irrelevant to achieving meaningful change. You need the people doing the work to want to do the work and buy into the change and a new org chart can't fix that. @rbarcia What DevOps workflows are conducive to building and iterating a "minimal viable product" for cloud services? Does adding serverless & Kubernetes to the scope of an MVP impede that process? @rbarcia so not the culture being open vs closed, but the willingness of the culture to adopt open technologies. @rbarcia What compromises must be made in open DevOps cultures to ensure compliance? Something must get scoped out of any process to keep it compliant with any spec? @rbarcia yes, just today I had a question from someone concerned that WebSphere Liberty was "less enterprise" because we open sourced most of it as Open Liberty. Of course the idea that open source is less enterprise-ready is a little old-fashioned.